Hello everyone! 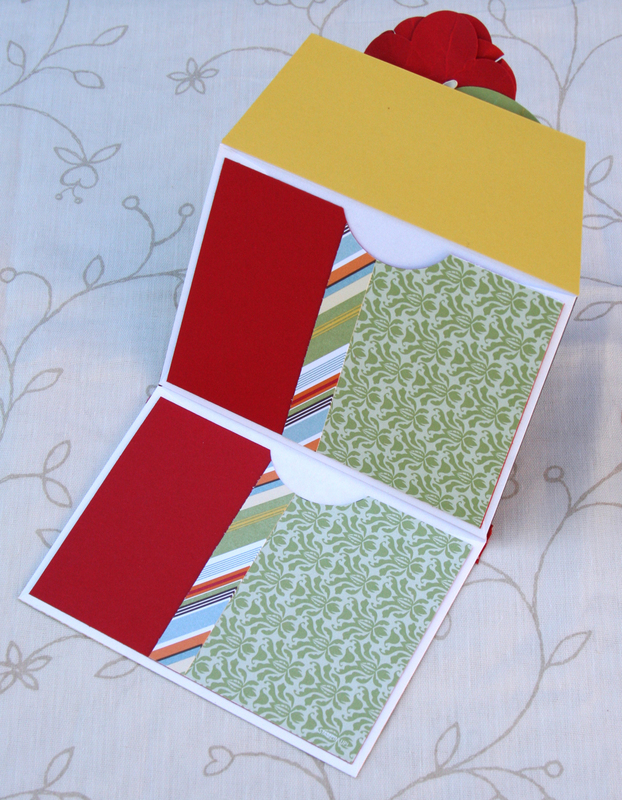 The project I have to share with you today is a quick Pocket Book made using envelopes. I love making small books like this, they could be used for sending a few photos to a friend or sharing some fun poetry. You could fill them with so many things. To make one all you need is a few envelopes, I used 2 for this project. Open the envelopes and attach the flap of one to the front of another. Then decorate… it’s that easy! 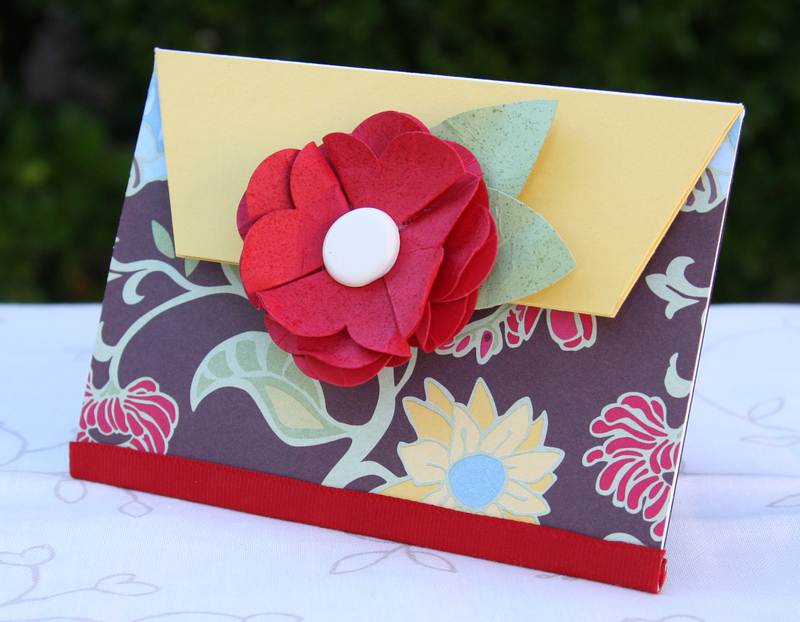 Paper Flower Instructions: to make the paper flowers, you need 4 Fancy Flower Punched pieces. Wrinkle each one and fold 4 into quarters. Rough up the tips of the petals. Glue the petals shut and attach them to the 5th flower. Finish it off with a Jumbo Brad or large Button. I am a visual person. Could a ask you to give a step by step tutorial of your flower on your photo book? Hi Jessica I love the little booklet can you tell me how you made that with the envelops? Did you make them or are they just regular envelopes?